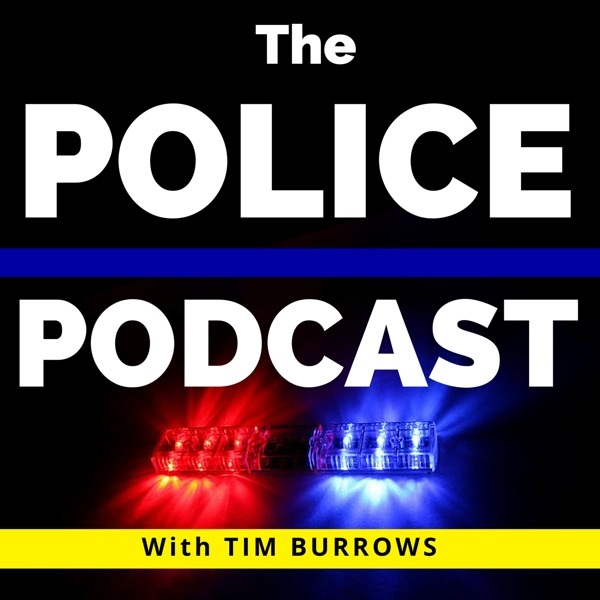 In this episode of The Police Podcast, Tamrin Olden and Mike Bires from The Law Enforcement dot Social Podcast joined in for a special crossover episode. The three of us discussed what we see happening in the area of law enforcement and public safety social media use giving our own predictions / keys to success for 2018. Tamrin and Mike's five predictions of success for the coming year are: Study your analytics Focus on personal engagement Create organic engagement Invest in your presence Create professional content My five predictions for creating your best success possibilities in 2018 are... Strategic Use of Social Media Personal Engagement and ROI Live Video- periscope, Facebook live, Instagram live. Invest in technology. Tools, technology, training, and resources. Professional Content What was fascinating about doing this show is we didn't share what our ideas were prior to hitting record... we took turns sharing our thoughts only to see that we had lots of overlap and complimentary points. I'm thankful to Mike and Tamrin for doing most of the heavy lifting on these show notes. ​Facebook announced how the algorithm would be stifling to getting your posts circulated. Facebook is going to take priority away from pages and give it back to people who contribute to Facebook engagement. This Facebook strategy won't be entirely possible because they have a fiduciary responsibility to make money for their stakeholders. Pages on Facebook are going to have to rely on their engagement with their audience and followers. Pages are not going anywhere, but your profile will be critical. Pages and profiles will only see gain success by having fun while portraying your message with fantastic engagement. Agencies need to invest in technology and not rely on their officers to use personal equipment. You have to have professional quality images, graphics, and videos. The excuse of, "I'll just use what I have" is no longer a valid outlook if you want to succeed in the social media world. People want to see authenticity in your posts. You want to create content that is going to make people "stop the scroll." When going live focus on providing content that helps the department gain the interest of its followers and get the focus off of you. FAQ's, utility videos, how to's, and behind the scene live videos are what are going to grab the attention of your audience. If you are getting a frequently asked question, go to a live outlet and answer it in depth. Production videos are useful to post too, but the engagement from live videos with your viewers is where you're going to get the most feedback. The polished behind the podium is not relatable, and people are going to keep scrolling. Have organic engagement where you are not fishing for viewers. Two-way conversations with your residence are essential. Listen to your audience with question and answer sessions. What they want to learn about are the topics that should have precedence. Offline customer service can increase your online customer service and engagement. Invest in both. Don't let your obsession with online social currency take away from interpersonal interaction. Set the tone for your fans. Return on investment and social return on investment. If an agency isn't measuring what they are getting back, there is no need for pointless posts. The tool of social media needs is a serious factor in reaching out to the community and making the connection with the people. Study the ROI and see what happens. Look at the analytics and become familiar with what type of content people like. Stay on top of your app updates, solicit expertise, study analytics, read articles and take seminars to stay informed on how social media is changing and how to properly utilize it. Adjust the content and style of posts. What worked last week, may not work next month. Tim had to learn to be critical of silly posts and had a realization that the unprofessional content he was seeing from officers, wasn't 'humanizing the badge,' but making a mockery of it. Be aware of spikes in your followers. Check the analytics of who your audience is to determine whether or not they are quality followers in your community. Public perception needs consideration. When posting a dance, challenge or fun video; make sure that there is a purpose and a message conveyed. Take the time to write down your goals, objectives, and putting a strategy to the purpose and the use. Communicate to your community and internal audience. Explain your strategy, why you're doing it, how you're going to execute it and work with purpose and intent. Explore how you're going to reach specific groups and your local community. Make sure you are communicating a positive image. Not only for the police department but the city and the workers. Portray that you care about the town and are going to make it safe and fun for people to live, work and play in. Be transparent. Social media and PIO work can put your agency in a positive light and change the reputation of the department. Socia media is a multi-faceted outlet. You must implement all of these factors to reach a successful platform.